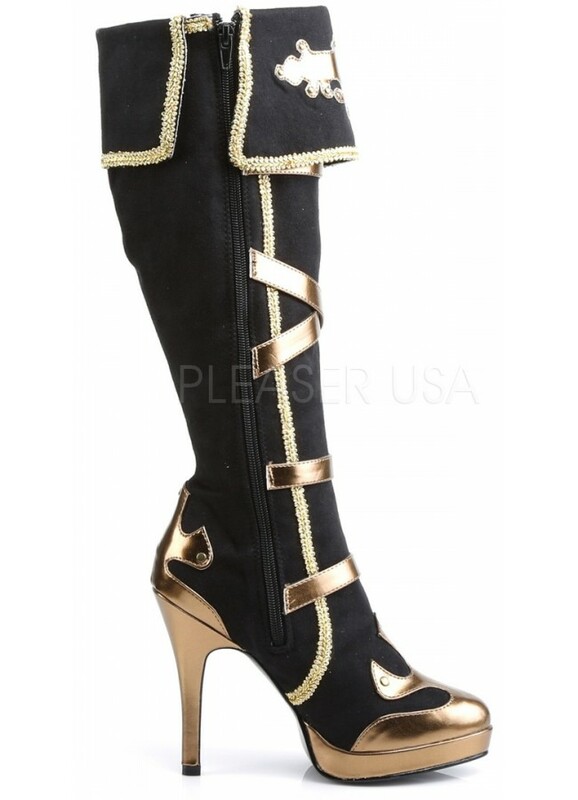 Gold braid sparkles against matte black microfiber in this military/steampunk knee high boot for women. 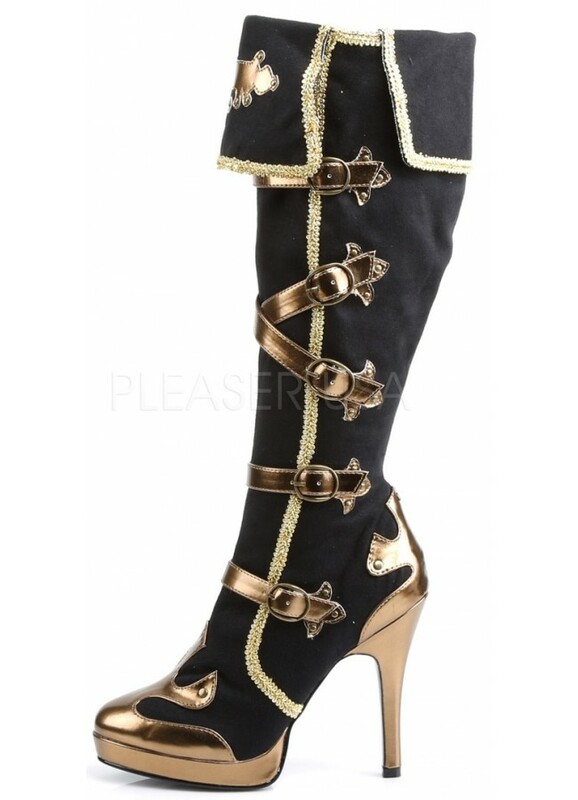 These fun black and gold knee high boots have a circus, military or steampunk vibe perfect for costumes or just because you love them. 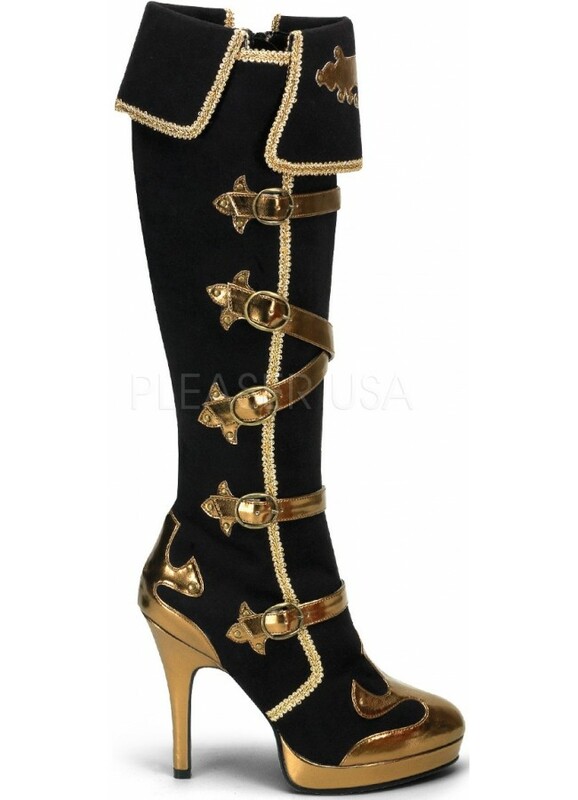 Black microfiber boot is accented with gold faux leather and gold braid. The gold stiletto heel is 4 1/2 inches high with a slight 1/2 inch gold platform. 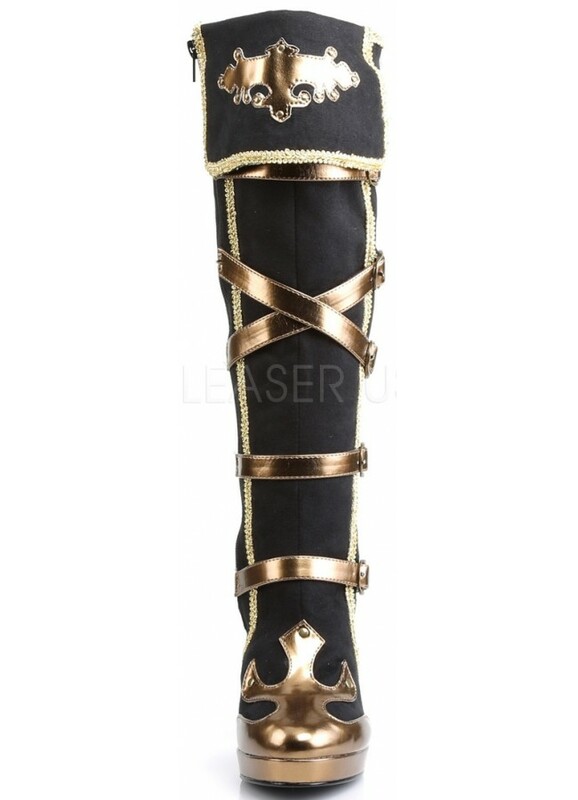 Military officer style gold braid edges the shaft and the fold over cuff with an ornamental design at the front. Buckled cross straps add extra detail. Full inner zipper. All man-made materials with padded insole and non-skid sole. In women's sizes 6-12, average width. Item Number: PL-ARENA-2012 | Approximate Size (Inches): 10.00 wide x 12.00 deep x 4.00 high | Approximate Shipping Weight: 3.00 lbs.